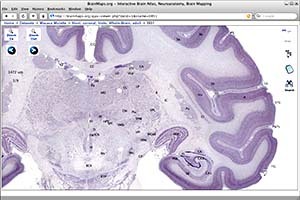 BrainMaps.org has recently implemented a new AJAX-enabled multiresolution image viewer. What’s more, the multiresolution viewer has been released as the Brain Maps API. This image from the piece graced the cover of the Journal of Neuroscience back in April. It’s a rotary shadow electron micrograph showing the cytoskeleton of a hippocampal neuron, by Bernd Knöll of the University of Tübingen and Jürgen Berger and Heinz Schwarz of the Max Planck Institute for Developmental Biology. The hippocampus appears to be crucial for long-term episodic memory, yet its precise role remains elusive. Electrophysiological studies in rodents offer a useful starting point for developing models of hippocampal processing in the spatial domain. Here we review one such model that points to an essential role for the hippocampus in the construction of mental images. We explain how this neural-level mechanistic account addresses some of the current controversies in the field, such as the role of the hippocampus in imagery and short-term memory, and discuss its broader implications for the neural bases of episodic memory. Converging evidence suggests that each parahippocampal and hippocampal subregion contributes uniquely to the encoding, consolidation and retrieval of declarative memories, but their precise roles remain elusive. Current functional thinking does not fully incorporate the intricately connected networks that link these subregions, owing to their organizational complexity; however, such detailed anatomical knowledge is of pivotal importance for comprehending the unique functional contribution of each subregion. We have therefore developed an interactive diagram with the aim to display all of the currently known anatomical connections of the rat parahippocampal–hippocampal network. In this Review, we integrate the existing anatomical knowledge into a concise description of this network and discuss the functional implications of some relatively underexposed connections. One of the main cellular mechanisms assumed to underlie learning is long-term potentiation (LTP), an experimental form of synaptic plasticity that results in a long-lasting increase in the strength of synaptic transmission. However, prolonged synaptic stimulation in vitro eventually stops producing further LTP (also known as ‘LTP occlusion’). So, how does ongoing experience result in further learning? Clem et al. now show that the opposing actions of activated N-methyl-D-aspartate receptors (NMDARs) and metabotropic glutamate receptors (mGluRs) allow progessive synaptic strengthening during sensory-induced plasticity. 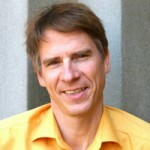 Brain Science Podcast, is an interview with Dr. Christof Koch of Cal Tech, one of the pioneers in the neurobiological study of consciousness. About two decades ago when Koch and Francis Crick began looking for what they called the neural correlates of consciousness (NCC), such a quest was considered controversial, but now the field is increasing in popularity. In this interview they talked a little about his book, The Quest for Consciousness, as well as his on-going research and his thoughts about what the future might bring. A transcript of this interview. You can now get a PDF of the Episode Transcript. Translated to spanish: La Consciencia : Una Aproximacion Neurobiologica. Editorial Ariel, S.A. – 2005. This information has been extracted from the excellent page: Brain Science Podcast. An excellent blog site to visit, directed by Ginger Campbell. 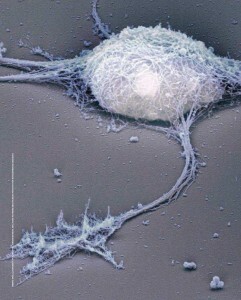 An interneuron’s birth date may determine its molecular and physiological phenotype. The mammalian olfactory system is unique in that sensory receptors synapse directly into the olfactory bulb of the forebrain without the thalamic relay that is common to all other sensory pathways. We argue that the olfactory bulb has an equivalent role to the thalamus, because the two regions have very similar structures and functions. Both the thalamus and the olfactory bulb are the final stage in sensory processing before reaching target cortical regions, at which there is a massive increase in neuron and synapse numbers. Thus, both structures act as a bottleneck that is a target for various modulatory inputs, and this arrangement enables efficient control of information flow before cortical processing occurs. The present method allows reproducible cryostat sectioning of small, difficult-to-manage, tissue pieces, such as biopsies and brain slices. We utilize a simple aluminum freezing stage to facilitate handling of tissue and a standard cryostat to routinely produce 5-10 micron serial sections from 400 micron thick brain slices. A interesting blog about neuroscience questions, technical or experimental suggestions, and perhaps a good site to discusse ideas of our work as neuroscientists. 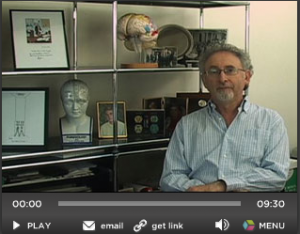 Visit Neurodudes. The ventral tegmental area contains two distinct types of dopaminergic neuron. Dopamine is a versatile neurotransmitter that has a role in movement and many aspects of cognition. Lammel et al. have now characterized two types of neurons in the mesocorticolimbic dopamine system that are not only anatomically segregated, with non-overlapping axonal target regions, but that also have distinct molecular and functional properties. This structured diversity of the dopamine midbrain system might contribute to the multiplicity of dopamine functions in the CNS. Dopamine pathways in the brain are generally divided into the well-characterized mesostriatal system, which originates in the substantia nigra pars compacta (SNc) and projects to the dorsal striatum, and the mesocorticolimbic system, which starts in the ventral tegmental area (VTA) and projects to the frontal cortex and limbic areas including the amygdala and the nucleus accumbens (NAc). By retrogradely tracing mesocorticolimbic dopamine neurons, the authors established that dopamine projections in the medial prefrontal cortex, the basolateral amygdala and the core and medial shell of the NAc originate in the medial posterior part of the VTA, whereas dopamine projections to the lateral shell of the NAc originate in the more lateral portions of the VTA and the medial part of the SNc.